Marketing is every little thing that you do. Seriously think about it. Marketing is every little thing you do. Marketing is how you present yourself, your appearance, your behaviour, your beliefs, your company, your culture, your products, your services, your employees, your… Ultimately, the success of your presentation is illustrated by the perception others have to your presentation – from watching, listening, reading and being directly and indirectly exposed to all your messages. 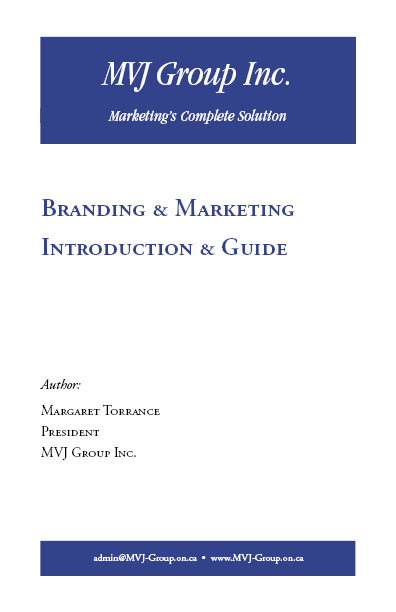 Marketing means defining your brand, communicating your vision, conducting your research, planning your strategy and promoting with honesty and consistency. The perception your audience has of you, depends on your marketing. We work with our clients to make certain that the perception is of the highest caliber and that the “perception is reality”. This booklet has helped many – from international manufacturers to past CEO’s starting their own companies. Enjoy this E-book.